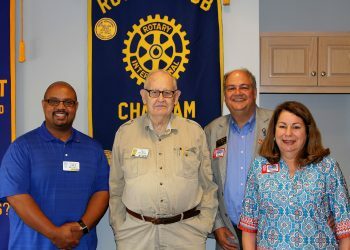 The May 30th meeting featured a visit from our Rotary District Governor Chris Runion and his wife Jennifer from Bridgewater, Virginia. 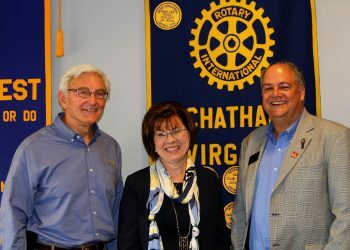 Pictured l-r: Charlie Strauss, Nina Beth Thornton (District Assistant Governors) and Chris Runion, District Governor. Chris addressed the club and presented three Paul Harris Fellow recognitions to Club members. Present at the meeting to receive his Paul Harris Plus Two Pin was Ted Bruning. Also reviving pins were Donna Yeatts; her Paul Harris Plus Four, and Robert Adams; his Paul Harris Plus Five Award. David also stressed the implementation of a team concept in management including implementation of a Leadership Team and a Communication Team that will focus on taking the long view of problem solving. Improvements in Economic Development are a high priority and include more viable Fire and Emergency Management Services. 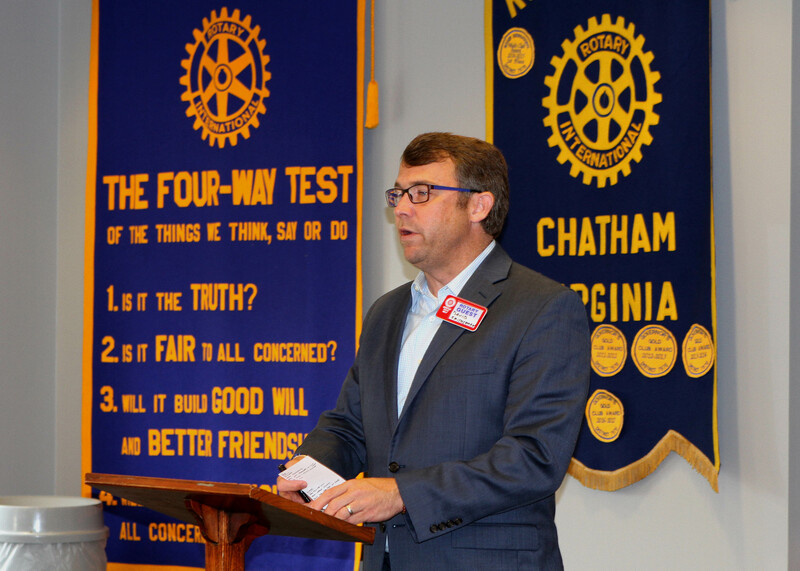 David’s comments were well received by the Club Members and his initiatives and leadership are appreciated as the County faces the challenges of moving forward today.